Around Baguio in 30 hours (more or less), part 2 - Hits and Mrs.
To continue with the story of our Baguio escapade, here’s what we did from 2 to around 4 PM. Upon checking in at Baguio Burnham Suites, we left some of our things and the items that we bought from the ukay-ukay, and went to Hill Station. 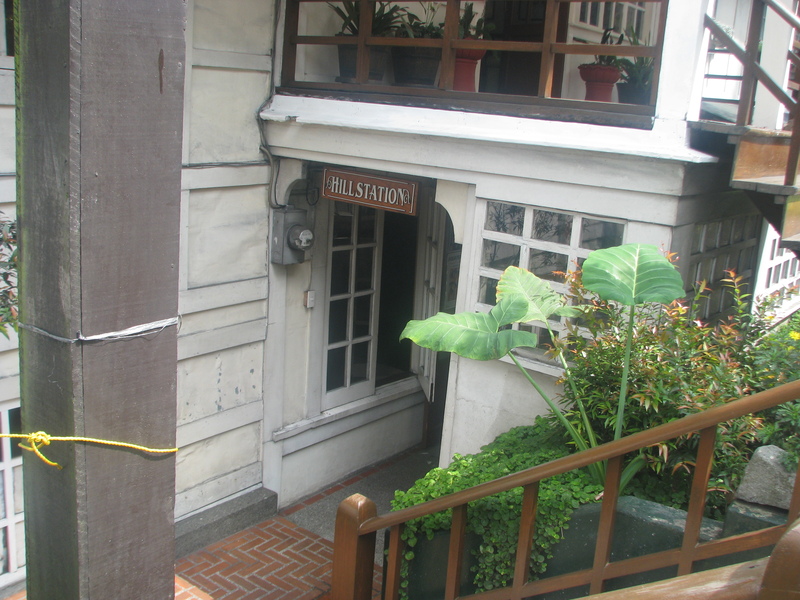 The restaurant is located in Casa Vallejo, along Upper Session Road. There are 2 sections to Hill Station: the one nearest the entrance is the cafe area, and there’s another that’s the spacious main dining area with wide windows and a chandelier (I believe). Unfortunately, we only ate at the cafe area since the staff was prepping the interior for a dinner-concert. 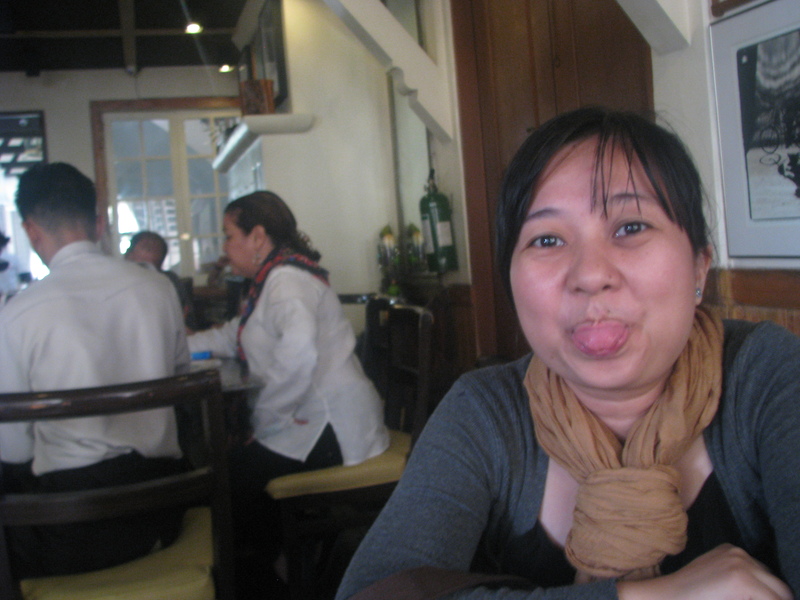 Goofing around, before realizing that the woman on the other table was the owner of Hill Station. Yikes! 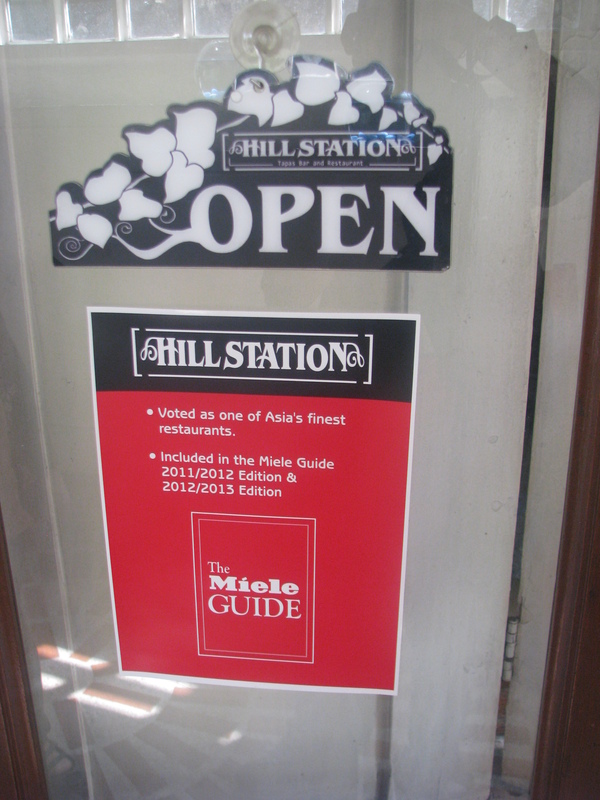 Mainly the reason I wanted to eat here: its inclusion in The Miele Guide as one of Asia’s best restaurants for two consecutive years. Behind us, a wall of awesome black-and-white photographs. 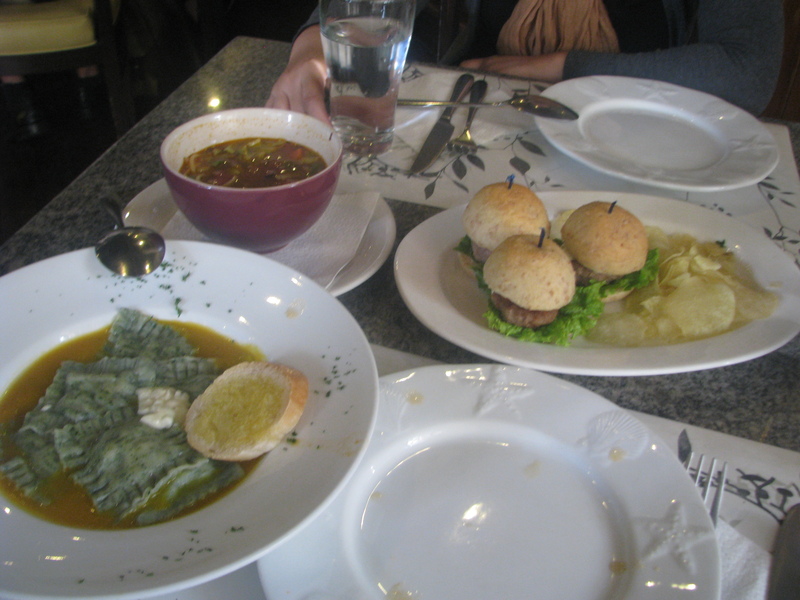 What we ordered: from left, Spinach and Mushroom Ravioli, Stone Soup, and Mini Blue Cheese Burgers. The Mini Blue Cheese Burgers were a recommendation from my colleague who also raved about the Strawberry Taho. What can I say? Everything we ordered was really good! The soup was served hot, the ravioli had a delicate taste to it, and the burger patties just melted inside our mouths. Plus, the service was fast (probably because we were the only ones eating a meal at 2 PM) and the waiter was very nice (I forgot to take note of his name). 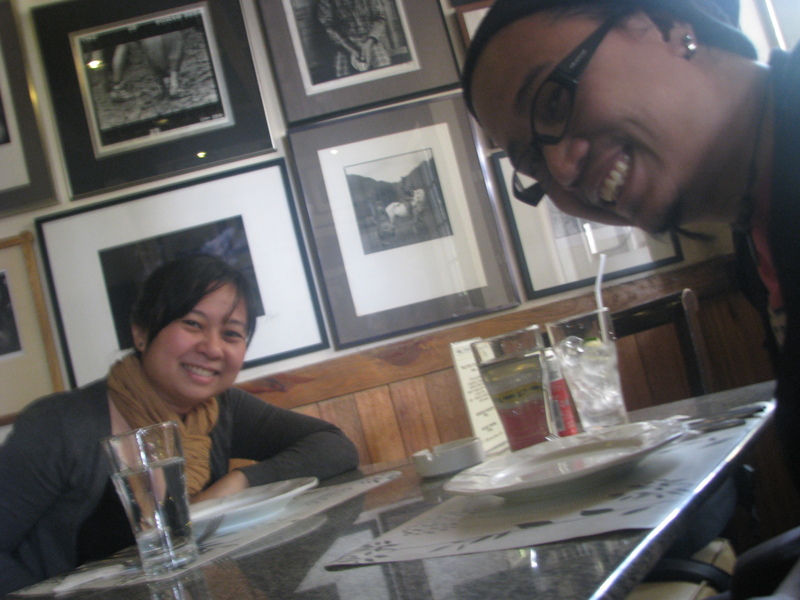 You’d think that the servings were small, but we actually left Hill Station with full tummies (traydor yung servings). 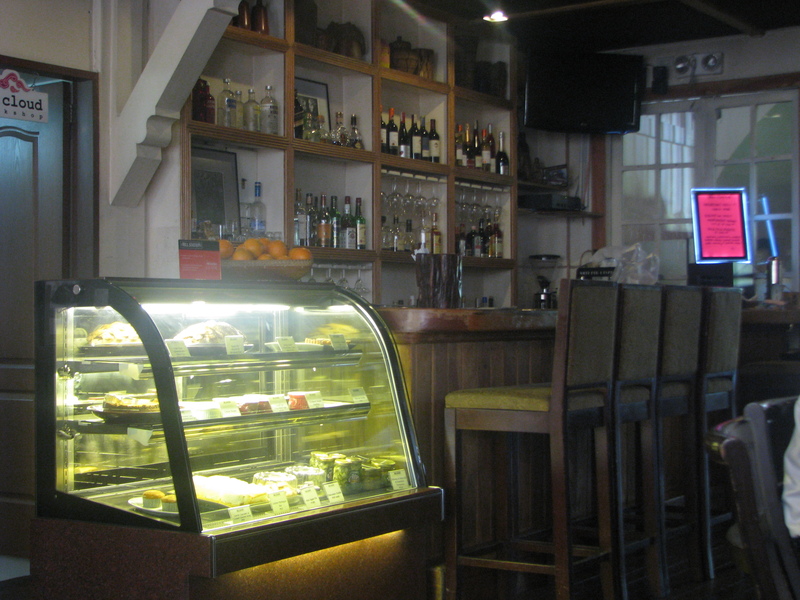 A bit pricey, though — our food plus a can of Schweppes Ginger Ale cost us PHP800++. Nevertheless, great food and great service. No wonder it was listed in The Miele Guide, two years in a row at that. 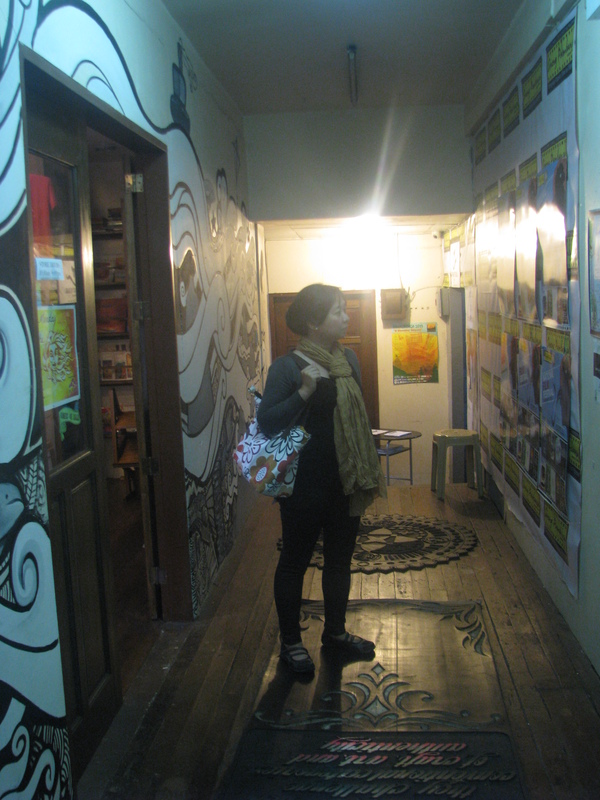 After Hill Station, we peeked into the other shops located in Casa Vallejo: Mt. 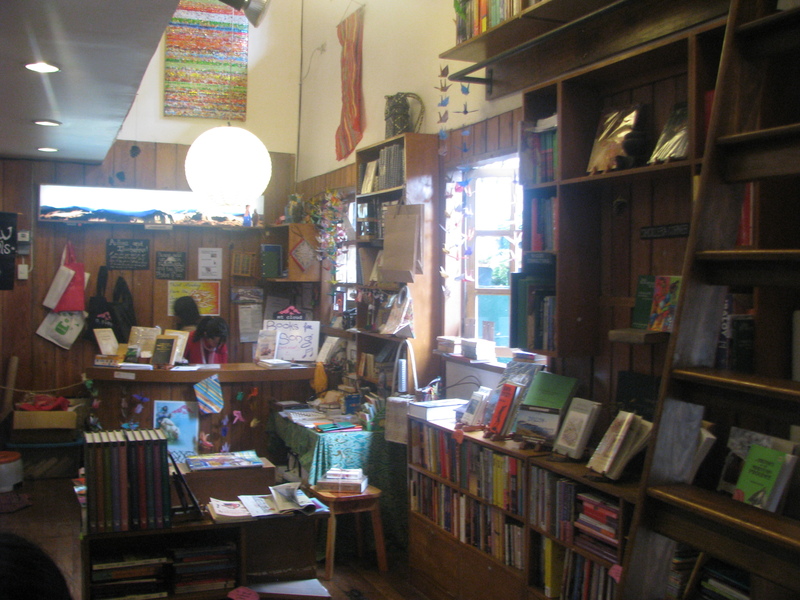 Cloud Bookshop, Cinematheque, and North Haven Spa. The corridor connecting Hill Station, Mt. 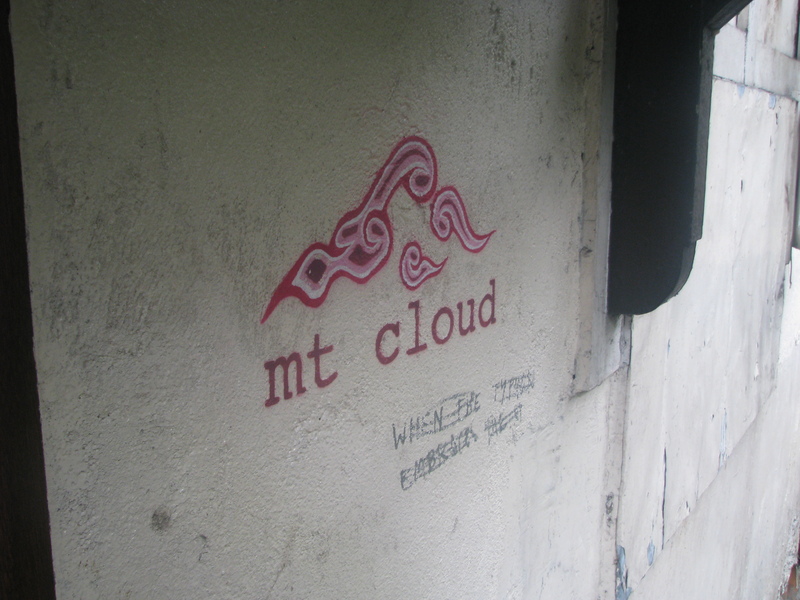 Cloud, and Cinematheque. 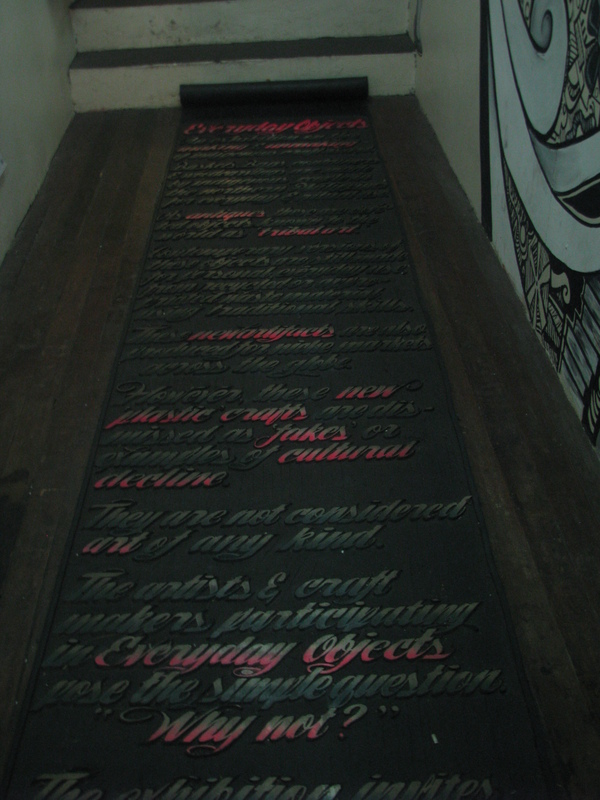 Carpet made with rubber, with words etched on it. 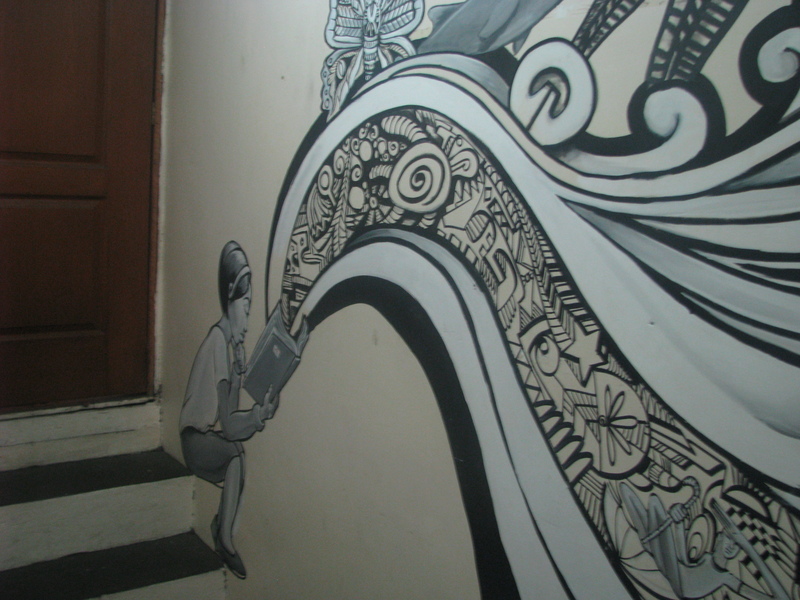 A closer look at the mural. When the typhoon embraces the… something. I don’t know what the last word was supposed to be. 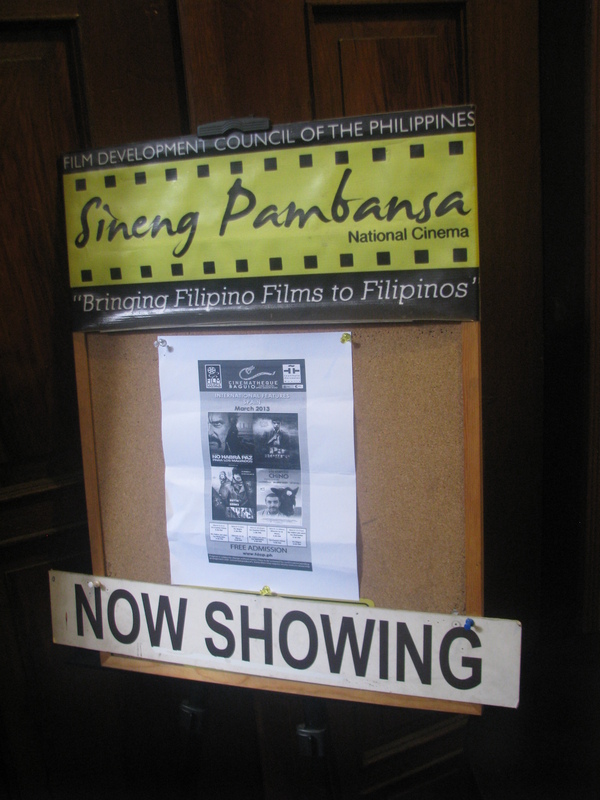 They’re showing films in Cinematheque. There wasn’t any showing scheduled when we went there, unfortunately. Hubby just took a picture of the signage. North Haven Spa is right above Cinematheque. 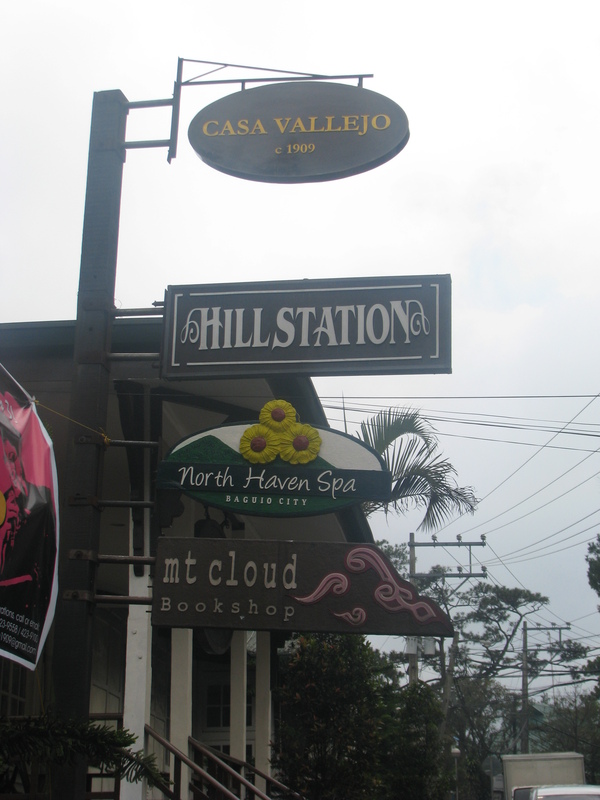 Okay, so I guess this post is pretty long now, what with the photos we captured at Hill Station/ Casa Vallejo alone. The rest of the day will be covered in Part 3, so stay tuned. you can be a great author.I will be sure to bookmark your blog and will come back very soon. 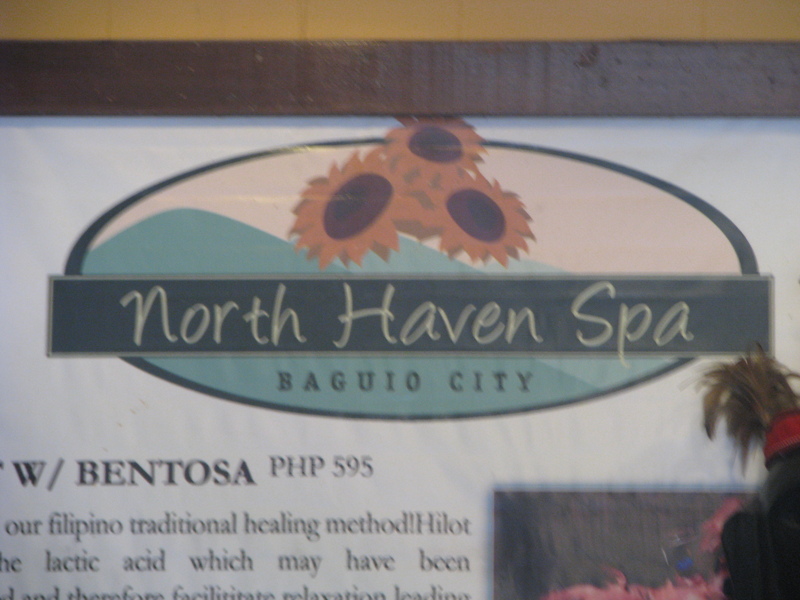 Around Baguio in 30 hours (more or less), part 1 - Hits and Mrs.